Can someone hand me a Kleenex? What’s amazing about The Best Man Holiday is that it never feels like 14 years. In 1999, The Best Man became a deliverance for the African-American film genre which had been stereotyped as a crime / gangster genre. The film gave a unique identity and helped launched several other films and genres. The Best Man Holiday is a family centered tear jerker as it slowly unravels a web of failures, sad faces and ultimately demise that surrounds the group of friends. The prequel’s breakout character, Quentin (Terrence Howard) exhibits all signs of badassery. It’s as if they based his character on How I Met Your Mother’s Barney Stinson. Howard continues to give a good performance but at times you feel the character can be given more responsibilities. 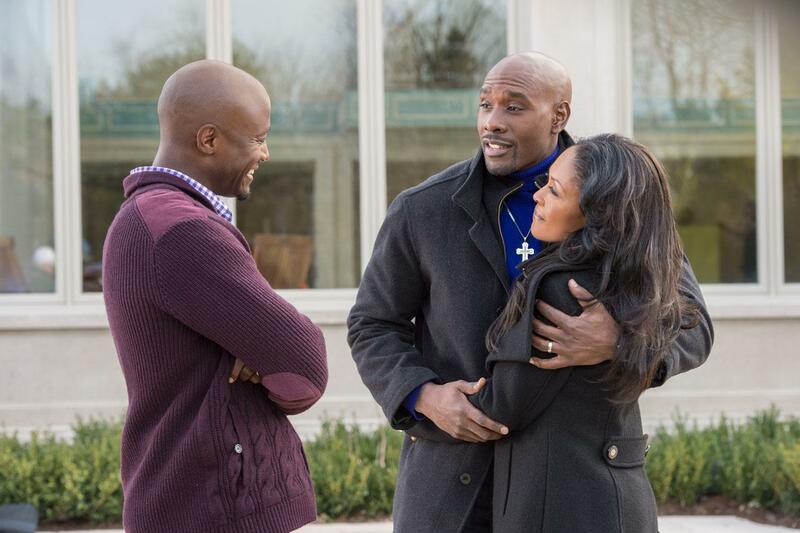 In The Best Man Holiday, Howard is still an untapped resource. Much like the prequel, the sequel never takes Morris Chestnut seriously and reduces him to humour till the time drama is necessary. Chestnut’s Lance Sullivan is a vital character in both films and I’m surprised how he hasn’t been given enough platform to shine. The friends reunite at the Sullivan’s villa for Christmas. Everyone is living a different life. Their conversations are fresh. There are mentions of Barack Obama and even Robin Thicke (seriously?). But, what hasn’t changed is the hostility between the two best friends – Sullivan and Harper Stewart (Taye DIggs); the spark between Julian (Harold Perrineau) and Shelby (Mellisa De Sousa) and the suspicions of Harper’s wife, Robin (Sanaa Lathan) when she sees him with his old flame, Jordan (Nia Long). The Best Man Holiday plays it safe and uses tragic elements to get involvement from the audiences. Some may budge, but today’s audiences are not made that way. They are into high concept films where drama is limited to just one scene, with the rest being eye candy entertainment. The Best Man Holiday has its fair share of entertainment. If you don’t find it amusing, it’s because you haven’t invested in these characters. Who wouldn’t?